The Buffalo Sabres have returned defenseman Matt Tennyson to the Rochester Americans of the AHL, according to CapFriendly. The team recalled him Thursday, but Tennyson didn’t see any action in either game the Sabres have played since then. The 28-year-old Tennyson has four goals and 20 points in 45 AHL games. The San Jose Sharks have returned defenseman Jacob Middleton after recalling him Saturday night to serve as an emergency defenseman, according to CapFriendly. He did not play in Saturday’s overtime win over Vegas. The 23-year-old Middleton will return to the San Jose Barracuda of the AHL, where he has five goals and 19 points in 54 games. CapFriendly reports that the Boston Bruins have assigned center Karson Kuhlman to the Providence Bruins of the AHL. Kuhlman was recalled Friday on emergency conditions. Kuhlman did not see any action in the team’s loss to Florida Saturday. The 23-year-old Kuhlman has 12 goals and 30 points in 58 AHL games. The Detroit Red Wings announced they have recalled goaltender Kaden Fulcher from the Grand Rapids Griffins of the AHL under emergency conditions. He is expected to backup starter Jimmy Howard while Jonathan Bernier is out with an upper-body injury. Fulcher hasn’t even made an appearance with the Griffins as the 20-year-old has played his entire season with the ECHL Toledo Walleye where he has gone 15-7-2 with a 3.00 GAA and a .899 save percentage. CapFriendly also reports that the team has recalled forward Dominic Turgeon on an emergency basis. The 23-year-old prospect hasn’t played a game for Detroit this season, but has accumulated six goals and 19 points in 69 games with the Griffins. The Toronto Maple Leafs officially announced they have recalled defenseman Calle Rosen from the Toronto Marlies of the AHL. Rosen, who signed as a free agent in the summer of 2017, played four games for Toronto immediately then, but then was assigned to the Marlies. He put up 22 points in 62 games that year , but has taken his game to another level this season as he has posted seven goals and 46 points in 54 games and was signed to an inexpensive, tw0-year extension with the understanding he will take over a spot on the Maple Leafs’ blueline next season. Rosen is expected to meet the team in New York and play with the team on Monday. The Colorado Avalanche have recalled defenseman Mark Barberio from his conditioning stint with the Colorado Eagles of the AHL, according to CapFriendly. The 29-year-old blueliner hadn’t played in a game since Jan. 21, so the team sent him to the AHL to get his timing back in case they need to use him. Barberio has played in just 12 games this season for the Avalanche. He picked up an assist in two games with the Eagles. The Nashville Predators have recalled forward Austin Watson from his conditioning stint with the Milwaukee Admirals, according to The Athletic’s Adam Vingan. Watson, who had been suspended indefintely to an “alcohol related relapse,” and entered Stage Two of the joint Substance Abuse and Behavioral Program, was reinstated on Mar. 18. To get him ready for the approaching playoffs, the team sent him on a conditioning loan where he scored four goals in two games. The NHL has just four games on the schedule for this evening, but plenty of reason to tune in. The Western Conference matchups are especially interesting, as the Dallas Stars and Colorado Avalanche try to hang on to their wild card spots. Both teams will take on clubs ahead of them in the standings, and pull even with both the Arizona Coyotes and Minnesota Wild in games played. As they prepare for tonight’s action, we’ll be here keeping track of all the minor moves. The Avalanche have loaned Mark Barberio to the AHL on a conditioning assignment, giving him a chance to get back into game shape. The 29-year old hasn’t played since January and has suited up just 12 times this season due to injury. He had already re-joined the Avalanche for full practices, but will now get to play a few games for the Colorado Eagles before coming back up to the NHL. The Detroit Red Wings have recalled Martin Frk from the AHL as Luke Glendening and Anthony Mantha are dealing with injuries. Both players are expected to suit up for the team tomorrow, but the Red Wings needed some insurance just in case. The Bruins announced that they have assigned center Karson Kuhlman to AHL Providence. He was recalled on Saturday following the injury to Sean Kuraly and got into two games with Boston on his recall, scoring once. However, the return of winger Marcus Johansson meant Kuhlman could no longer remain with the team on an emergency recall. Mark has been a steady part of our blue line since joining the team and has helped solidify our defensive depth. He has played important minutes for us and has been a key penalty killer. We are pleased to have Mark under contract for the next two seasons. Barberio came to the Avalanche originally in 2017 after being claimed off waivers from the Montreal Canadiens. Despite putting up positive possession statistics for Montreal, the team decided he was no longer necessary after acquiring Nikita Nesterov. That would turn out to be something of a mistake, as Nesterov would end up unqualified in the summer while Barberio became a regular for Colorado. Playing in 46 games this season, he registered 13 points, was a positive possession player and had the second-highest +/- rating of any Avalanche defender at +6. It’s not clear exactly what Barberio’s role will be next season, as the Avalanche now have eight legitimate candidates for NHL spots under contract, not even counting Patrik Nemeth and Duncan Siemens who are both restricted free agents, or Conor Timmins who could impress in camp. For a team that was questioned thoroughly last offseason for their lack of NHL defensemen, the team seems to be building quite a pipeline this time around. Barberio’s salary would suggest that he’ll be with the team in some capacity, which gives more credence to the idea that the Avalanche may be looking to trade some of their other defensemen. Even if they don’t, he’ll likely be asked to take a regular turn on the third pair and penalty kill unit in 2018-19. The key to the Ryan McDonagh to Tampa Bay trade was the inclusion of prospect defenseman Libor Hajek and had he not been involved, McDonagh would still be with the Rangers, reports Larry Brooks of the New York Post. The 2016 second-round pick is having a strong season at the WHL level and put forth a very strong showing back at the World Juniors and figures to be an important piece of their retooling on the back end. Brooks adds that Pittsburgh, Washington, and Florida made runs at McDonagh before the trade deadline while noting that the Capitals would have needed to get a third team involved to get a deal done. The Oilers are expected to sign UMass-Boston forward Colin Larkin to an NHL entry-level deal, reports Mark Divver of the Providence Journal (Twitter links). The 24-year-old has had a strong season at the NCAA Division III level, posting 24 goals and 22 assists in just 27 games and averaged a point per game or better in each of his four collegiate seasons. He is also the brother of Red Wings center Dylan Larkin. The Avalanche should have goaltender Jonathan Bernier available for their upcoming road trip, reports Mike Chambers of the Denver Post. He has missed the last eight games due to a concussion. Meanwhile, winger Sven Andrighetto, who has been out since December 31st due to a leg injury, is also nearing a return. The news isn’t as promising for a pair of defenders as Erik Johnson (shoulder) and Mark Barberio (concussion) are not close to returning to Colorado’s lineup. The contract extension for Washington GM Brian MacLellan leaves two general managers in limbo. One of those is Lou Lamoriello of the Maple Leafs whose initial three-year contract is set to expire at the end of the season. While there has been speculation that he could cede his spot to Kyle Dubas, the 75-year-old told reporters, including Postmedia’s Terry Koshan, that he isn’t concerned about his role with the team next year at all, calling it a “non-issue”. Even if Lamoriello is out of the GM chair next season, he’s likely to stick around in an advisory role at the very least. With the trade deadline now just a few days away, we continue our closer look at the situation for each team. Where do they stand, what do they need to do, and what assets do they have to fill those needs? Next up is a look at the Colorado Avalanche. Well, it’s been a great run for the Colorado Avalanche this season. Really, who could have expected that the worst team in the NHL in 2016-17 would have still been competing for a playoff spot in February? The team has nothing to be disappointed in: they got a great return for Matt Duchene earlier this year, watched Nathan MacKinnon embrace his superstar role, and exceeded expectations as a group all year long. However, they were never supposed to be a playoff team this quickly and, barring a miraculous stretch run, they won’t be. Colorado has quickly fallen behind in the Western Conference playoff race in recent weeks. Since their ten-game win streak ended in January, the Avs are 5-7-2 and just barely sticking around the conversation for a playoff spot. They are sixth in the Central Division, with teams ahead of them like the Minnesota Wild and the Dallas Stars getting hot at the right time, making it difficult to see Colorado winning a divisional berth. Over in the Pacific, the resurgence of the Anaheim Ducks and Los Angeles Kings, on top of the Stars, Wild and St. Louis Blues, also puts a wild card spot nearly out of reach. While it may not be the storybook ending some hoped for, it’s time for the Avalanche to cut ties with their rental players, if the right deal comes along, and move on, with eyes towards taking another step forward next year. Even if GM Joe Sakic and company decided they still wanted to keep pushing for a playoff spot, their deadline plans would be more or less the same. Colorado does not have a firm enough seat in the Western playoff race to warrant buying, but there is little difference between standing pat and “selling”. The team has only a few impending unrestricted free agents and Sakic will move them if the right deal comes along. If not, he will likely be happy to keep them as the Avs’ own “rentals” and, in some case, may even have extension talks. Headlining the group of available Avs are goaltenders Jonathan Bernier and Andrew Hammond, either of which could be expendable whether Colorado is a traditional “seller” or not. Bernier, who is currently sidelined with an injury but expected back soon, has been a great value addition to the team this season, outplaying incumbent starter Semyon Varlamov and forcing a near-even split in net. Bernier, if healthy, could be an attractive addition for a team in need of a more reliable backup goalie for the postseason. He could always re-sign in Colorado even if he is dealt. Hammond, on the other hand, has not seen any NHL action this season, but could be affordable added insurance for a playoff-bound squad. Blake Comeau, a former 20-goal scorer and consistent bottom-six contributor, will likely get the most attention as the deadline draws closer. Comeau would be a nice depth addition for any number of contenders. To a much lesser extent, Gabriel Bourque and Joe Colborne could also draw some interest. Colin Wilson has been a huge disappointment in Denver, but if the team is willing to eat some of his near-$4MM salary in 2019, they could easily trade the veteran forward away less than a year after acquiring him from Nashville. Again, the success that this team has achieved is a total surprise. They are still very much in a rebuild and, like all rebuilding teams, simply need to stock up on draft picks and prospects. The team got a great return for Duchene earlier this year, including a first-round pick and player selected with a first-round pick last year, and simply want to continue to accumulate those franchise building blocks. Given the pieces they’re willing to move, the Avs won’t be getting much back outside of mid-round picks and middling prospects anyway. If the Avalanche walk away from the trade deadline with some combination of third- and fourth-round picks and a prospect scoring winger or two, it will be a major success. 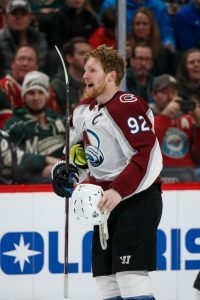 As it is with most teams who make a surprising turnaround from one year to the next, the Colorado Avalanche, fresh off one of the worst seasons in recent memory, may not even be a seller this time around at the NHL Trade Deadline. The 2017-18 season has gone much better for the Avs, with their play of late – a convincing eight-game winning streak – pulling them into the playoff picture. Of course, the team also already made a major deal earlier in the year, netting three prospects and three quality draft picks for Matt Duchene. With that impressive return already in the bag and the team rolling on all cylinders, it seems unlikely that Colorado would still resort to trading away valuable players over the next month. That even includes, in the opinion of The Hockey News’ Matt Larkin, polarizing defenseman Tyson Barrie. Next to Duchene, Barrie was easily the next man up on the trade block for the Avalanche and, if this season was anything like 2016-17, he may have already been traded. Barrie, 26, is a gifted offensive blue liner who plays major minutes for Colorado and is depended on for much of their puck movement. However, he often struggles in his own end and there are questions as to whether he could ever really be a top pairing defenseman, despite his ample $5.5MM salary. In fact, that exact argument was reportedly part of former head coach Patrick Roy’s sudden departure from the team in 2016. It still feels like Barrie, who is currently on injured reserve, has yet to really carve out a comfortable, long-term role in Denver, which has led to much speculation that he could be moved. Around the league, there is less skepticism and many teams would love to add his offensive touch. However, those teams will likely have to wait until the off-season for him to become available again. Larkin believes that the Avs’ recent play and lack of depth on defense has all but eliminated the chance that Barrie would be moved by the Trade Deadline. Behind Barrie, Erik Johnson, and young Nikita Zadorov, the rest of the Colorado blue line is made up of uninspiring names like Patrik Nemeth, Mark Barberio, Anton Lindholm, and David Warsofsky. Removing Barrie from that mix, even if a stopgap defender was part of the return, would hurt Colorado’s chances of making the playoffs. It seems like a move that Joe Sakic, who has stood by Barrie, would not make at this time. With that said, Larkin acknowledges that Samuel Girard, one of the new pieces acquired for Duchene, has looked good and is deserving of more ice time and also notes that 2017 selections Cale Makar and Conor Timmins look like they will be surefire NHLers in no time. Barrie could certainly be moved sooner rather than later, to make room for the youth and to address the Avs’ lack of forward depth, but the soonest will likely be this off-season unless Sakic is blown away by an offer which has a long-term benefit worth sacrificing playoff hopes this season. Not too many blockbusters like that come around in-season, especially two in one year for the same team, so Barrie is likely safe and can soon return to the Avalanche lineup to help continue the team’s miraculous turnaround. Colorado Avalanche general manager Joe Sakic has been at the helm now for six years. His team has spiraled downward and hit rock bottom last year with a league’s worst 22-56-4 record, worth 48 points. To make matters worse, the team only has a handful of prospects and don’t seem to have a plan or path to take the franchise on. According to NBC Sports’ Adam Gretz, Sakic is a likely candidate to be on the hotseat this season. The team’s lack of a proper path, constant roster questions that seem to be held up by a potential Matt Duchene trade that has never happened and a shortcoming of prospects seem to suggest that he may be the first general manager out the door this season. To make matters worse, the Avalanche have had the worst defense in the league for the past two years, according to Gretz, and have made no defensive changes this year. The Avalanche still have quite a few questions when it comes to its roster. Although the team is currently negotiating with defenseman Nikita Zadorov, the Avalanche only have three defensemen on their roster, including Erik Johnson, Tyson Barrie and Mark Barberio, according to NBC Sports James O’Brien. With more than $11MM in cap space still remaining, Colorado has the ability to acquire more players and depth. However, considering their lack of depth, using draft picks to trade for a player makes little sense. That leaves signing leftover free agents to short-term deals, but there are very few defensive free agents of note. Trading Matt Duchene may be their best way to fill in some of those holes. O’Brien also points out that, on a positive note, that the Avalanche have very few long-term deals, which should give the team quite a bit of flexibility. Only Nathan MacKinnon ($6.3MM AAV till 2022-23), Gabriel Landeskog ($5.57MM AAV till 2020-21), Carl Soderberg ($4.75MM AAV till 2019-20), Johnson ($6MM AAV till 2022-23) and Barrie ($5.5MM AAV till 2019-20) are locked up for the next three years. It’s no secret that many people expect the Colorado Avalanche to be the worst team in the NHL again next year. Those who don’t generally put them just ahead of the Vegas Golden Knights, and fighting to be better than an expansion team in their inaugural season is not exactly a great spot for a franchise. However, there was not really much that GM Joe Sakic and the Avs could do this off-season, with so few veteran players on their roster who would have value on the trade market and an understandable reluctance to trade away young talent. In a weak free agent and trade market, no one could have drastically turned the team around either. The rebuild is ongoing in Colorado and they need to take their time with it an do it right so that a 48-point season never happens again. With that said, it still doesn’t hurt, even for a rebuilding team, to try to be more competitive by adding a veteran player or two. Sakic understands that. He has gone out and added Jonathan Bernier, one of top goalies available, to back up Semyon Varlamov following the expansion selection of Calvin Pickard. He then traded for forward Colin Wilson from the Nashville Predators for a fourth-round pick, a relative bargain but a draft pick from a rebuilding team all the same. If the team had decided to tank this season, and accept everyone’s expectations of them, they could have just handed those jobs to underwhelming prospects Spencer Martin and Rocco Grimaldi. Why then does the Avalanche blue line look the way it does then? Even assuming that restricted free agent defenseman Nikita Zadorov re-signs with Colorado as anticipated, that would still give the team just four defenseman on one-way contracts. Zadorov, a 6’5″, 230-lb. behemoth, is just 22 and the centerpiece of the Avs defense, while Tyson Barrie and Erik Johnson are talented veterans on long-term contracts. Yet, Johnson is injury-prone and Barrie often struggles in his own end. The fourth man is Mark Barberio, who was claimed off of waivers from the Montreal Canadiens last season and is penciled into a top-four role next season despite regularly playing bottom-pair minutes before arriving in Colorado. Beyond those four, not the most inspiring blue line corps in the NHL by any means, the bottom pair would likely be occupied by AHL veterans Anton Lindholm and Duncan Siemens, who were -10 with zero points in a combined 15 games last year. Other options include Chris Bigras, who has just one NHL game under his belt, first-year pro Andrei Mironov, and free agent addition David Warsofsky. Sakic was willing to solidify his net and his forward corps and needs to do the same for his blue line. Zadorov, Barrie, and Johnson are fine for a top three, though each have their issues, and Barberio is a suitable starter. No one will blame the Avs for moving on from aging and ineffective veterans Francois Beauchemin and Fedor Tyutin, but might the team at least look into bringing back one of Eric Gelinas or Cody Goloubef, who both remain unsigned? Even that may not be enough. The obvious top choice would have to be Cody Franson, the top free agent defenseman left on the market. Franson may be a right-handed shot like Barrie and Johnson, but no doubt could help this team and play a major role. Franson could be especially helpful in re-booting an Avs power play that ranked dead last in 2016-17. Another player who could help in that department and with moving the puck could be Dennis Wideman. The veteran rearguard was once a prominent possession defenseman like Barrie and could give a boost to a Colorado offense that is often stagnant. If the Avalanche are shying away from older players like Wideman, they could take a chance on the oft-injured, but talented Simon Despres or on the unproven Jyrki Jokipakka instead. A big move that could be in play if they wanted to take the risk: an offer sheet to young New Jersey Devils puck-mover Damon Severson. Severson had a breakout year last season and looks to be a bona fide top-four offensive defenseman. The Devils are in a similarly rough shape on their blue line and would likely match any deal offered, but it could be worth a shot for the Avalanche, who could desperately use a promising young defender, even with future star Cale Makar coming down the road. There are many options open to Sakic and the Avalanche and hopefully they find an avenue they like and take it. No one is expecting a rebuilding team to sell off pieces for a premiere defenseman, but they do expect Colorado to at least make an effort to field an NHL-caliber defense. At this point in time, the Avs don’t have that. No one wants to see another 48-point season in Denver. It’s time for Sakic to take action. Wednesday: The team has officially announced the contracts for both players. Grimaldi will earn $750K in the NHL, while just $170K during his time in the minor leagues. Tuesday: The Colorado Avalanche are closing in on having all of their restricted free agents re-signed. Only big defenseman Nikita Zadorov will be left without a deal once the Avs finalize a new extension with young center Rocco Grimaldi. BSN Denver’s Adrian Dater reports that the one-year, two-way agreement should be made official soon. Grimaldi, 24, is an extremely talented forward who has found much success at the NCAA and AHL levels, but has yet to put it together in the NHL. A second-round selection of the Florida Panthers in 2011 out of the U.S. National Development Program, Grimaldi went on to star at the University of North Dakota before turning pro in 2014. In his first AHL season with the Panthers’ then-affiliate, the San Antonio Rampage, Grimaldi recorded an impressive 42 points in 64 games. Yet, when called up to Florida, his scoring dropped off to just one point in seven games. Given a longer big league look in 2015-16, the results were the same: Grimaldi netted just five points in 20 games, whereas in the AHL he recorded 33 in 52. Fortunate enough to have ample young, talented center depth, the Panthers did not have to wait for Grimaldi to develop an NHL edge, choosing instead to trade him to the Avalanche last summer for goaltender Reto Berra. Grimaldi returned to San Antonio in 2016-17, now affiliated with Colorado, and was again a force to reckon with in the AHL, finishing third in the league in goal scoring with 31 tallies to go along with 24 assists in 72 games. However, when the Avs recalled Grimaldi for four games at the end of the season, desperately looking for a glimmer of hope after a dreadful year, he could only manage one assist. Grimaldi may have NHL-caliber offensive talent, but he lacks the one trait you can’t teach: size. At just 5’6″, 180 lbs., Grimaldi is one of the smallest players in the league. He does not have much of two-game, essentially due to a lack of leverage in puck battles and at the face-off dot, and simply can’t skate around the competition in the NHL like he has elsewhere. Yet, the Avalanche have not lost hope. Grimaldi is not the first undersized player to try his hand at the NHL, and he won’t be the last. Similar in size to prolific players like Theo Fleury and Brian Gionta, Grimaldi may be able to make his lack of size work, especially given his considerable offensive ability. GM Joe Sakic must think so too, as he protected Grimaldi in June’s Expansion Draft, showing his commitment to the young scorer. A two-way deal is reasonable, given his lack of success in the NHL thus far, but look for Grimaldi to get a much longer look in Colorado in 2017-18. In addition to re-upping Grimaldi, the Avalanche also made an outside hire today, signing defenseman Jesse Graham. TVA’s Renaud Lavoie reports that it is a one-year, two-way deal between Graham and Colorado, one which will pay him the league minimum of $650K at the NHL level. A sixth-round pick of the Islanders in 2012 from the Niagara Ice Dogs of the OHL, Graham has struggled to make his junior scoring ability translate to the pro game over his first three season. New York declined to tender a qualifying offer to Graham, making the 23-year-old an unrestricted free agent this off-season. Graham has yet to make his NHL debut and has spent almost as much time in the ECHL over the past few years as he has in the AHL. 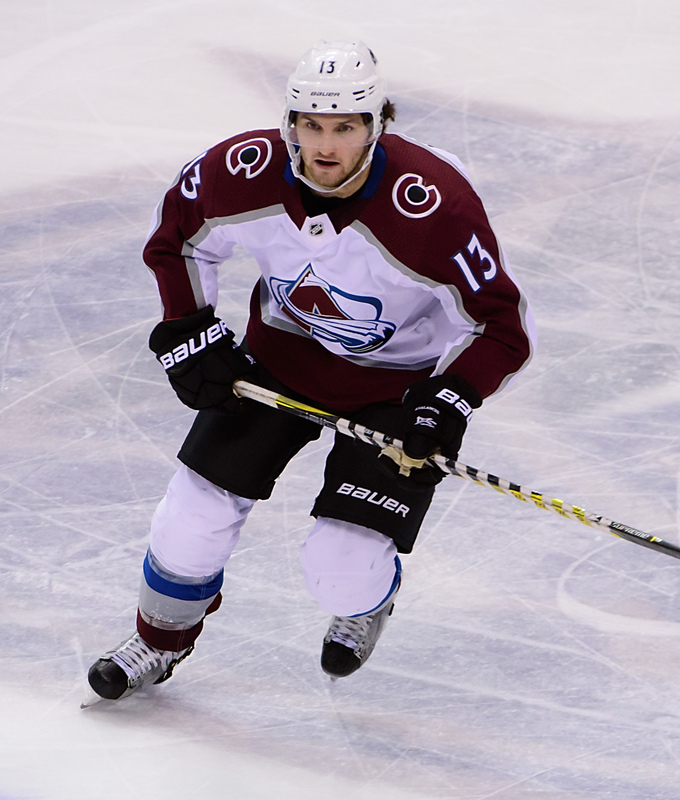 However, Colorado is the land of opportunity for young defenseman; the team has just three blue liners signed to one-way contracts for 2017-18: Erik Johnson, Tyson Barrie, and Mark Barberio. The aforementioned Zadorov is likely to join that group soon, but (if the roster remains the same) that still leaves at least three spots up for grabs in camp and a good shot at seeing ice time over the course of the season. With 2017 top pick Cale Makar committed to UMass for at least the next season, Graham faces competition only from the likes of Chris Bigras, Andrei Mironov, Anton Lindholm, Duncan Siemens, David Warsofsky, and (if the Avs are lucky) maybe Will Butcher. It’s not the most inspiring list of options for the NHL’s worst team last season, but it could be the perfect scenario for a player like Graham in need of career boost.